Systems that periodically need to have refrigerant added have a leak somewhere. Refrigerant leaks can cause big problems that sometimes are expensive to fix. We have several methods to locate leaks, and locating the leak is the first step that needs to be taken before deciding how to proceed. One of the most common locations of a refrigerant leak is the evaporator coil (indoor coil on a heat pump). The most common causes of a copper tube evaporator coil leak are anion attack and formicary corrosion. The evaporator coil may freeze up when a system gets low on refrigerant. 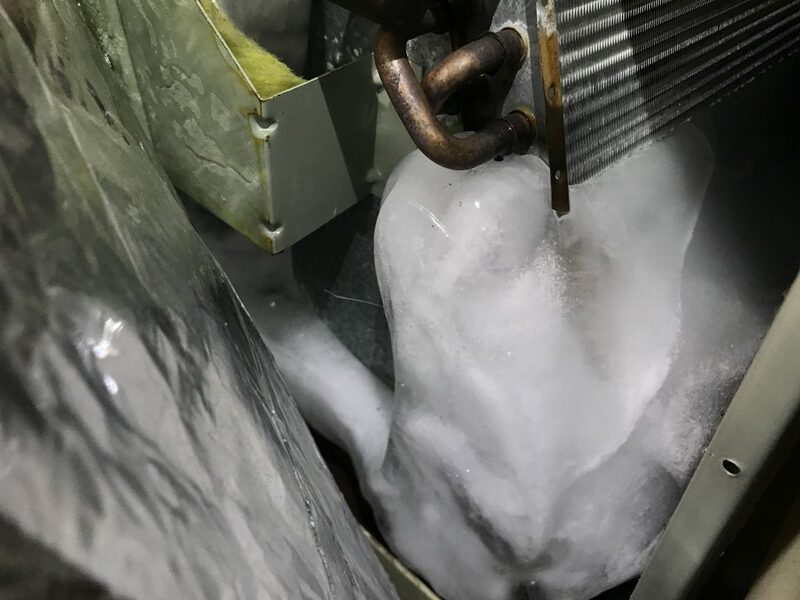 There are other causes of a frozen coil. A technician needs to make the diagnosis. These type of leaks are often non repairable and require the replacement of the evaporator coil. Coil replacement is generally what we recommend if the parts are under warranty. Out of warranty coil replacements can get very expensive. There are various leak sealer can be injected into the system. Sometimes they will succeed in temporarily fixing slow leaks extending the life of the system. Just as often they do not work. In rare cases they can cause other failures in the system. We are here to explain the options and help you weigh the pro an con to each. We install Goodman equipment. All current production Goodman evaporator coils are made of Aluminum tubes and plates. Aluminum is much less susceptible to anion attack and formicary corrosion.